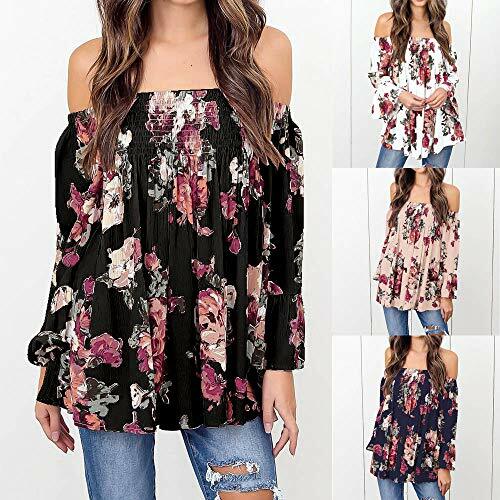 Material:85% polyester / 15% spandex,Machine Washable. 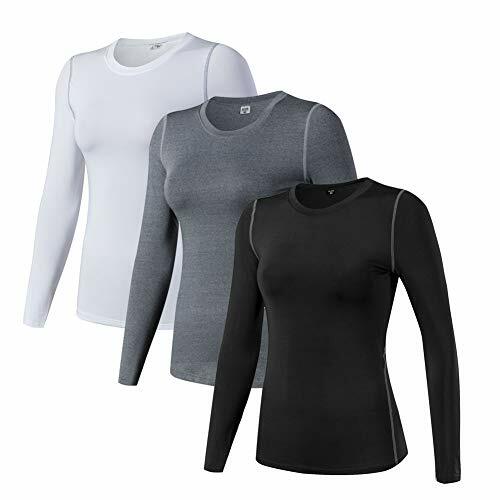 Moisture-wicking, rapid absorption and volatile sweat, quick dry, keeps you dry and comfortable. 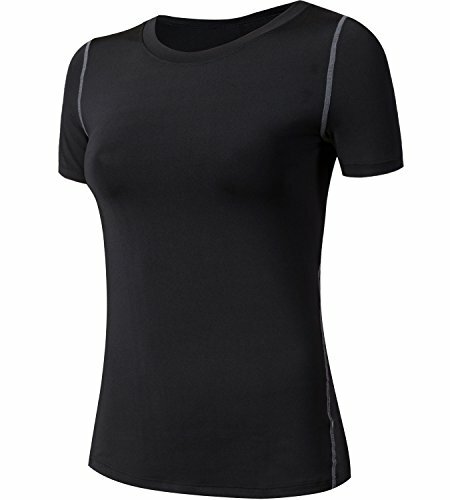 Sports shirt with lightweight, breathable, and super soft fabric against the skin. 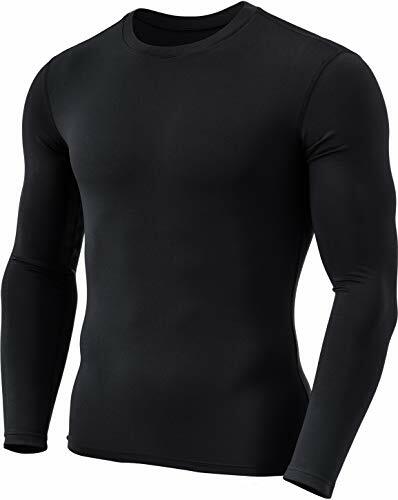 Long sleeves, crewneck, straight hem, pull on closure, seamless look, comfortable fit. 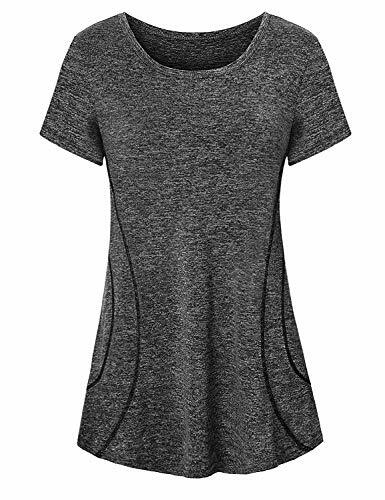 Small/Fit Bust:33.5-34.5"Waist:26.77" Length:22.83" Shoudler:14.56" Sleeve Length:22.83"
Medium/Fit Bust:35.5" Waist:28.34" Length:23.22" Shoudler:14.96" Sleeve Length:23.22"
Large/Fit Bust:36.5" Waist:29.92" Length:23.62" Shoudler:15.35" Sleeve Length:23.62"
X-Large/Fit Bust:38-39.5"Waist:31.49" Length:24.01" Shoudler:15.74" Sleeve Length:24.01"
Womens long sleeve tshirt is Great for a day of running, fishing, sailing, hiking, rowing, surfing and any other of your favorite sports. Suitable as an outer-layer for Spring and Fall/Autumn, mid-layer for Winter. 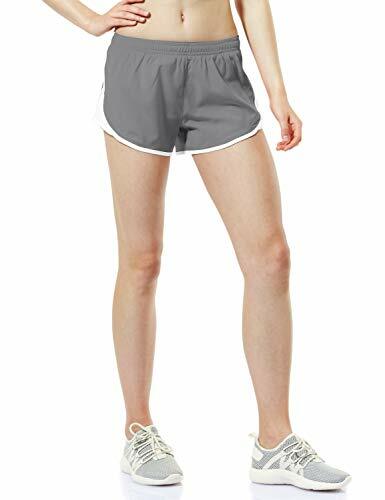 Perfect for outdoors sports fitness exercise running jogging yoga gym workout training performance wear, also casual wear. Best match Women Performance Compression Leggings/Shorts with Side Pockets. Garment Care: Machine/Hand wash cold. Do not bleach. Tumble dry low. 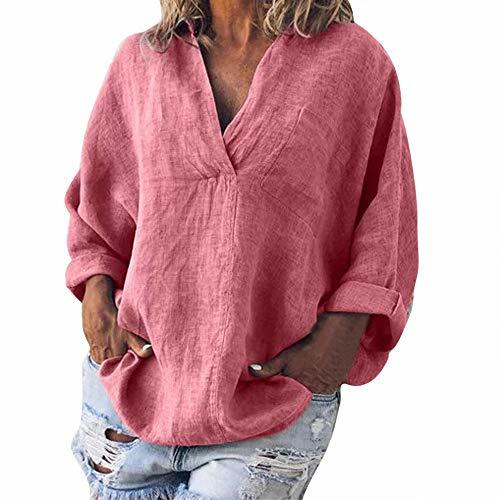  Size:S _ US:6 _ UK:10 _ EU:36 _ Bust:100cm/39.4" _ Sleeve:42cm/16.5" _ Length:57cm/22.4"
 Size:M _ US:8 _ UK:12 _ EU:38 _ Bust:104cm/40.9" _ Sleeve:43cm/16.9" _ Length:58cm/22.8"
 Size:L _ US:10 _ UK:14 _ EU:40 _ Bust:108cm/42.5" _ Sleeve:44cm/17.1" _ Length:59cm/23.2"
 Size:XL _ US:12 _ UK:16 _ EU:42 _ Bust:114cm/44.9" _ Sleeve:45cm/17.5" _ Length:60cm/23.6"
 Size:XXL _ US:14 _ UK:18 _ EU:44 _ Bust:120cm/47.2" _ Sleeve:46cm/17.9" _ Length:61cm/24.0"
 Size:XXXL _ US:16 _ UK:20 _ EU:46 _ Bust:126cm/49.6" _ Sleeve:47cm/18.3" _ Length:62cm/24.4"
make you hot sweat triple than usual while keeping the same exercise intensity! faster and easier than expected with significantly less effort! 1.Customer service: If, for whatever reason, you don't like this hot sauna tops, please just contact us to return it, we guarantee money back or exchange with every purchase. Any problem is no longer a issue through communication and you deserve an excellent customer service. 2.Washing instruction: It is only recommended to hand wash and hang dry to maintain the shape and elasticity. The slight smell of Neoprene is normal with new item but easy gone after a few times washing. 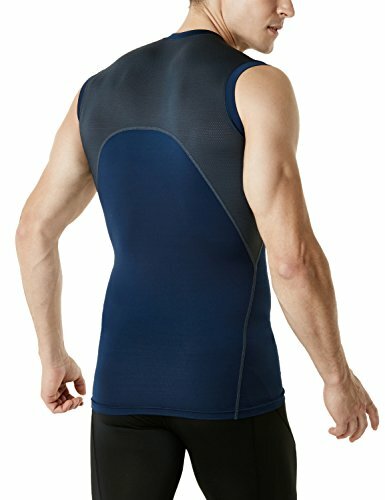 3.Skin sensibility: For someone has a sensitive skin, please wear a usual vest under this Neoprene waist trainer or just stop using it. 4.About size: Please do choose a suitable size from our size chart attached on last product image, it depend on your natural belly line. Note: Waitline measurement is about one inch above belly. 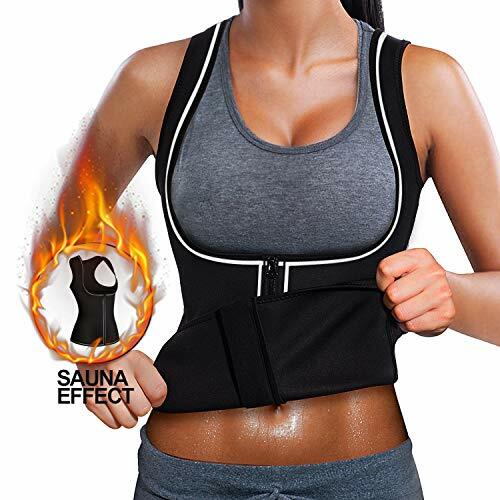 NO MORE conventional poor quality waist trainer, Add this TriainingGirl Sauna Sweat Vest in cart NOW!. Your waistline will be visibly reduced, your midriff will become more flattened, and you will appear one, two, and sometimes three sizes smaller instantly..